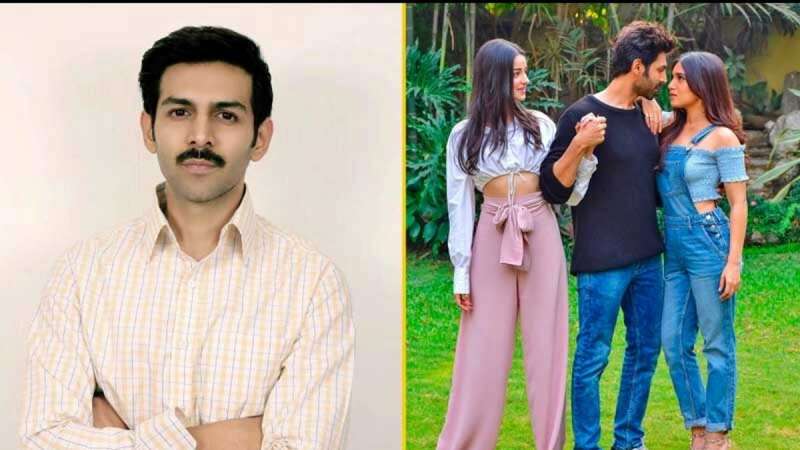 New Delhi : Actor Kartik Aaryan teased fans on Tuesday morning with a first look from his upcoming movie Pati Patni Aur Woh remake. The film also stars Ananya Pandey and Bhumi Pednekar in the lead roles. Kartik took to his Instagram page and introduced Chintu Singh, a character he will be playing in the movie. He captioned the post: "Miliye Lucknow ke Chintu Tyagi Ji se #Samarpit #AashiqMizaaj #Pati #PatiPatniAurWoh"
Different from his image of a boy next door, the actor has transformed himself into a simple sober man. It will be interesting to see how people will react to his changed avatar in the movie. Directed by Mudassar Aziz, the film is a remake of 1978 drama with the same name; Sanjeev Kumar, Vidya Sinha and Ranjeeta Kaur had played the lead role in that movie. The shooting for the film started on Monday.